Bollywood fans can go to any lengths just to get a glimpse of their favourite stars. While some lucky ones manage to get an autograph or a selfie with their beloved celebrity, others invite themselves to Bollywood parties, glamourous photoshoots, and even honeymoons simply by, well, photoshopping themselves with them. No, really. 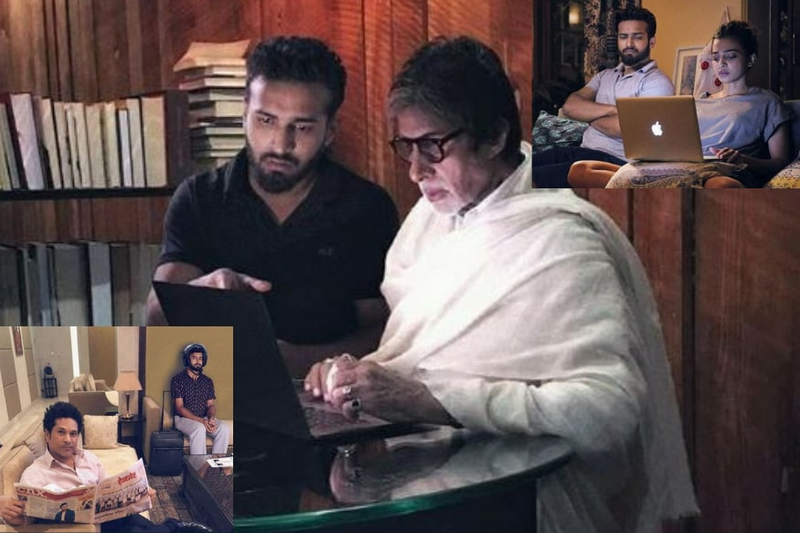 An Instagram handle @unseenfriend has managed to get up close and personal with several Bollywood actors by putting its editing skills to perfection and showing up at places where even paparazzi would hesitate to go. “Just an ordinary guy who is Bollywood’s Favorite Friend. I post pictures which my celebrity friends and the media won’t show you,” reads @unseenfriend’s Insta bio as he takes you on a hilarious yet seamless photoshop journey. From meeting Sachin Tendulkar (and not forgetting to wear a helmet) to playing Holi with Anushka Sharma from Pari, the ‘unseenfriend’ can be seen virtually everywhere. The account’s obsession with the B-Town celebrities (and Indian cricketers) combined with the super neat skills has earned it over 60K followers. The popular handle is reportedly run by an MBA student Govinda Saha.